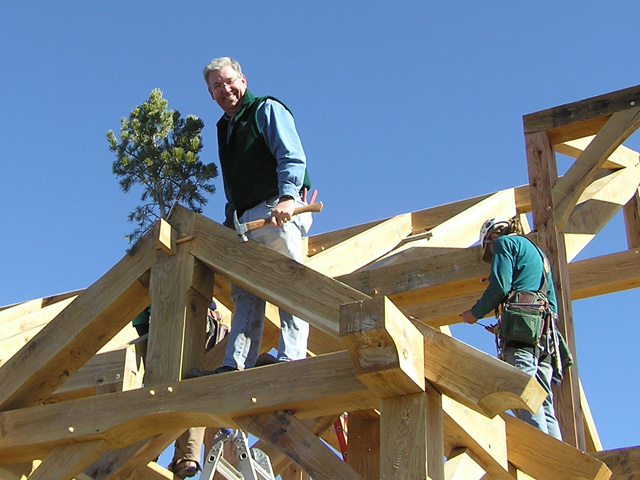 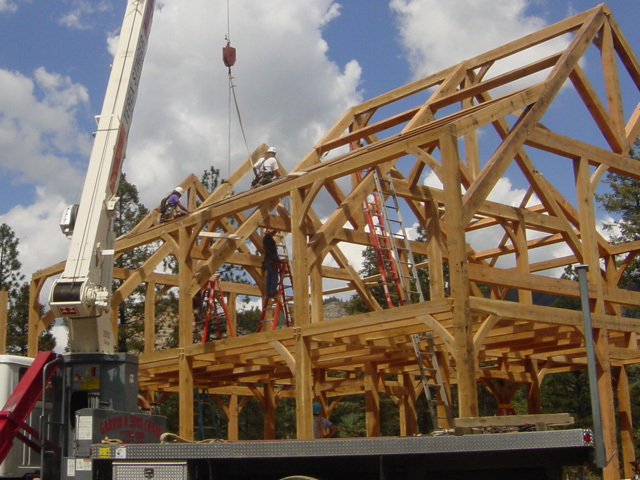 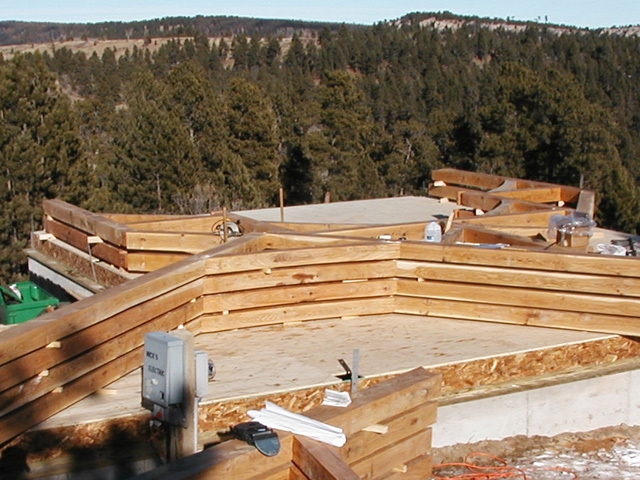 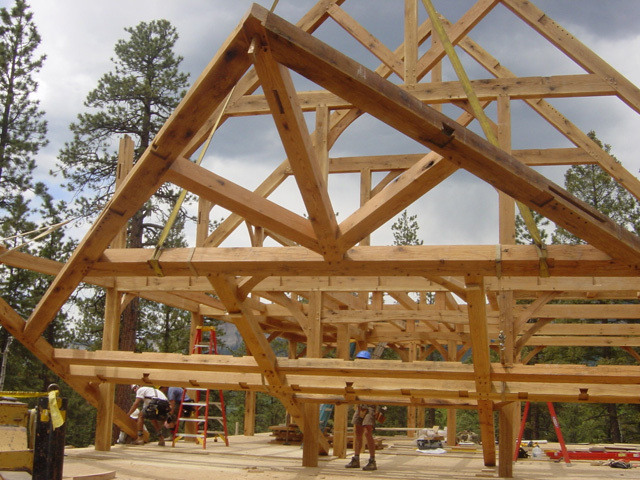 Part of the joy in choosing to build a timber frame home is the raising of the frame. 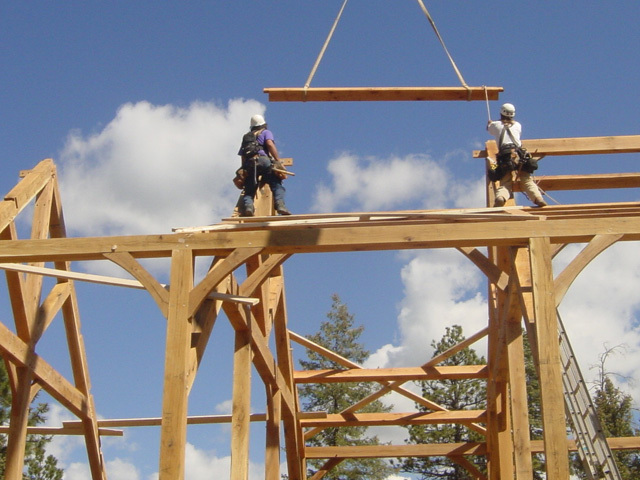 With its roots in 18th and 19th century American history, the raising can be a terrific social event for family, friends, and neighbors. 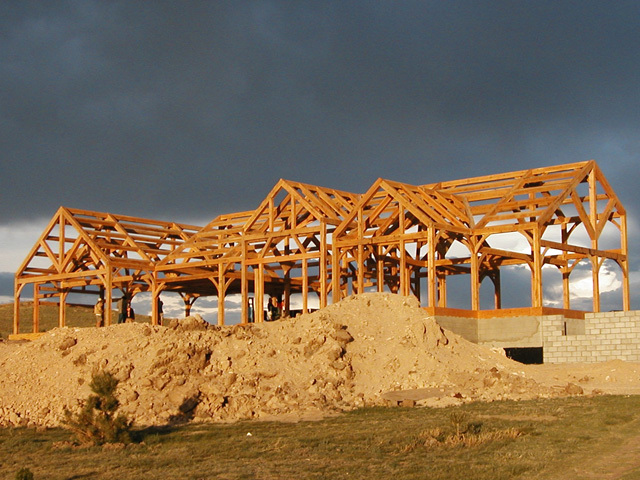 The home takes shape quickly and the frame provides a perfect setting for a celebratory drink or meal. 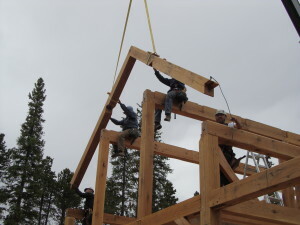 Historically, frames were raised by communities, and the Wind River crew enjoys when homeowners, friends, and neighbors come out to watch and celebrate the frame raising. 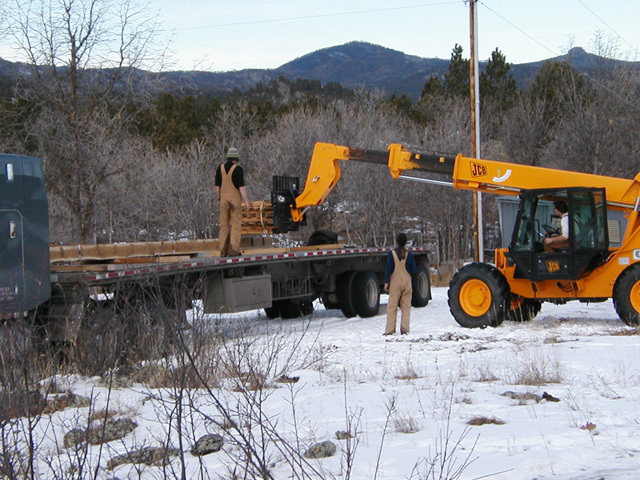 And, if you choose, there are plenty of pegs to drive, so grab a sledge and join in.